But before we do, I’d like to say a big ‘thank you’ to everyone who supported me yesterday when The Cold Cold Sea was Kindle Daily Deal in the UK. 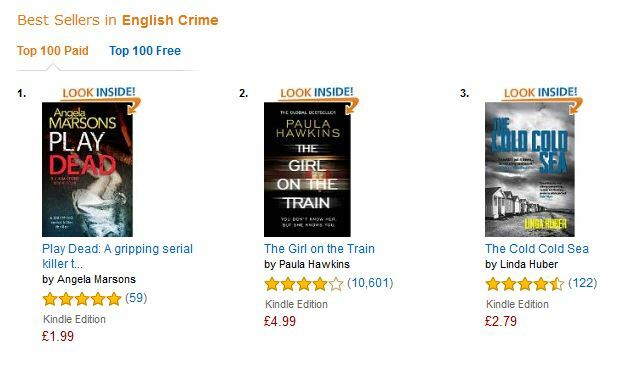 We reached no.16 in the Kindle Store, and no.3 in category English Crime, which is amazing when you consider it was TCCS’s third daily deal. Virtual hugs and choc all round! 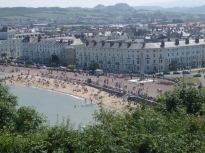 And now to Wales – Susanna lives and writes in Llandudno. We met on Twitter around the time The Cold Cold Sea was published in 2014, and have been virtual chums ever since, so I was delighted when she invited me on her blog to talk about writing and editing and sweeties and things like that. Click here to beam yourselves across to sunny Wales and my post on Susanna’s website. The blog will be on holiday next week, but we’ll be back the week after – see you then! This entry was posted in My books and tagged kindle daily deal, Llandudno, Susanna Bavin, The Cold Cold Sea, writing rules. Bookmark the permalink. Hoping… Give Susanna a big hug from me when you see her! Oops, sorry if I gave the wrong impression, I don’t actually know her.